Over the last year or two there’s been discussion about the U.S. Federal spending moving beyond $4 TRILLION dollars, and whether a $1+ trillion dollar annual deficit, on top of a $20 Trillion national debt – Federal only – is sustainable. It isn’t. “What can’t go on, doesn’t” is the famous quote of economist Herbert Stein. Since a spiraling deficit of $1 trillion deficit on a $20 trillion debt can’t go on, what will we replace it with when it very soon doesn’t? Historically gold. Whatever gold exists in the nation’s coffers, whether one coin or 8,000 tons, is used to as the national wealth, and fronted by paper to re-boot the currency. With some additions such as oil and real estate, this was the solution in Spain, France, Germany, and the Soviet Union among hundreds of fiat defaults. Why? Because at a time of broken promises — real goods, commodities that can be seen, touched, and used – are the tangible proof of wealth, requiring no trust, and from which the human trust system of paper and letters of credit can be rebuilt. But in these complicated, digital times perhaps that’s too simplistic. Perhaps we have grown smarter than all our fathers and this time it will be different. Will it really be the same? Let’s look at how the system works now. Before WWI, the world was on the gold standard. This had variations, exceptions, corruptions, but on the whole there was gold in the back that was fronted by paper promises issued by private banks. The paper moved, the promises were delivered by telegraph and telephone, and the gold remained in the vaults. It was only when men felt unsure of the truth of the promise they could and did demand delivery, called the bluff, and the bank did – or ominously didn’t – deliver the gold, and thereby keep the paper system in line with reality, with real wealth, and with the economy. This method kept men and nations honest, mostly. The main part is that the gold didn’t move: it stayed in the same vaults and its ownership changed, just like today. It didn’t matter how much gold existed: it simply changed price, just like today. All this changed after WWI. The nations had so impoverished themselves that they could no longer repay their real debts and restore their currencies following a 1,000 year tradition of inflating during wars and deflating after. 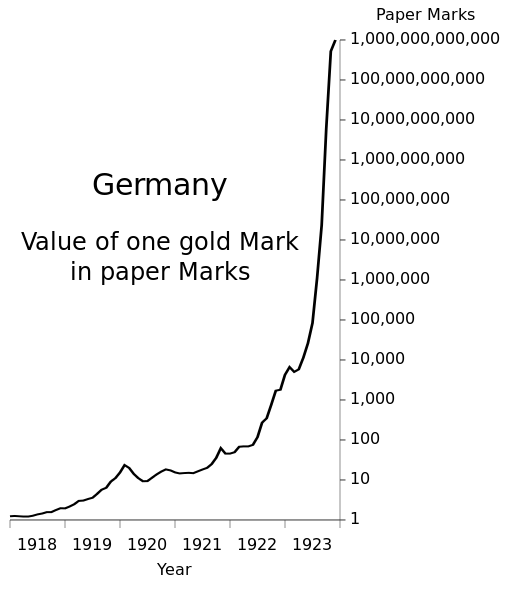 The deflation was too high for Britain and France even while removing the total wealth of Germany, and they began to cheat, double-counting the gold on their books to relieve the pressure. And so the non-gold system began. With other causes, the inflation of this change began to be felt through the Roaring 20’s, until when the phantom money was called on – as was tradition when people began to suspect that the paper they owned was no longer backed with adequate real goods – the illusion popped. The inflation was shown to be a fraud supported by the highest powers in government and finance, and the real economy withdrew their lack of trust until the matter was fixed. It wasn’t. As the system was fundamentally unchanged and no trust was restored, the rich were protected and law and property rights were trampled in a decade of Tom Joads, the economy never recovered. Although destroying half the nations on earth restored the real balance between paper fantasy and real production, the unemployment that never existed before WWI was never cured and has continued, ever worsening to this day. But note: before, during, and after the Depression, there was the same amount of gold. The gold did nothing, it was meaningless, only the paper promises over it expanded and contracted. With the systemic dishonesty still in place preventing the books from matching the real wealth and production, the economy soon returned to a diseased state. While gold was illegal for men to own, the rich do as they please and as tradition, removed the gold of the United States to hold them to truth and honesty from printing too much fake money for guns and butter. They withstood the 12 year bank run until, in 1971, they folded, having lost 2/3s of the national savings, gold. Inflation started immediately, and as the U.S. still resisted re-establishing physical trust, the connection between the books and reality, they quickly spiraled into South American malaise and high inflation, as seen in the gold price. From $20/oz, or rather a dollar value of 0.029, the dollar ran to 0.0011 – 1/26th of its former price — and looked to disappear altogether. 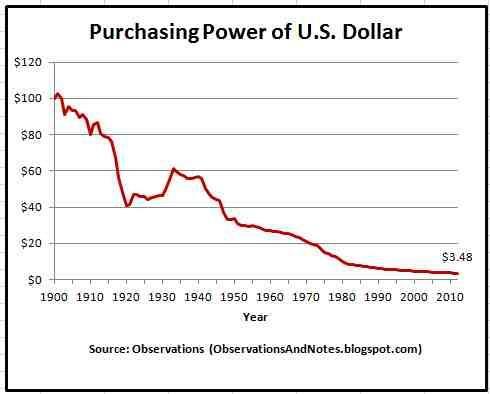 This was not unexpected as fiat currencies on average live 40 years before collapsing. If you take 1941 as the start date, the unbacked US$ would have collapsed in 1981, exactly when it did. What to do? How to re-start the system without having to actually reform, give up war, be honest, and return to trust? Henry Kissinger had the plan. 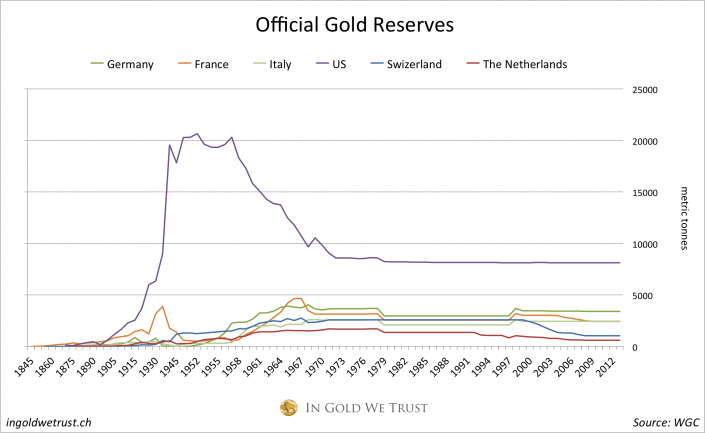 As no one on earth was on the gold standard – not really – the US$ had only two legs, its worldwide use and military force. He made use of them both by demanding the Saudis accept only US$ for oil transactions. Although U.S. production was diminishing, the U.S. and Saudi Arabia were still the two largest oil producers at that time. Most other nations imported oil, especially Europe. A virtual currency backed by nothing, based on the usage in trade. But that isn’t a full chart and isn’t meant to be. 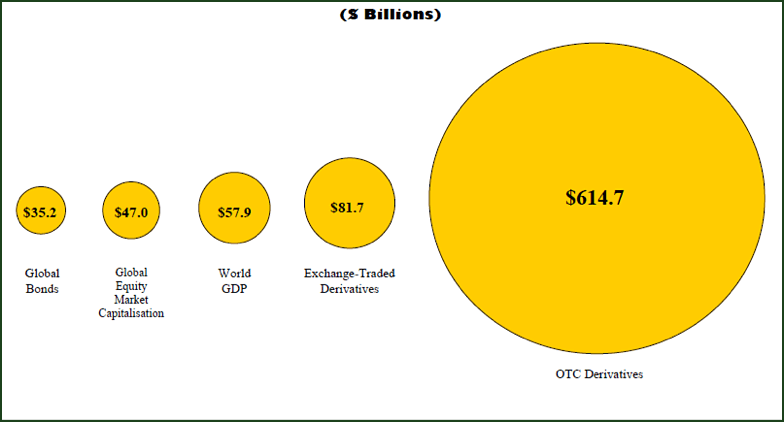 On the side, back in the corners, the US$ was still convertible to gold for the “right kind of people”, using delivery in NY and London to banks in Switzerland. The volumes of US$ grew to trillions while the gold component withered to billions, yet still the Saudis banked billions in gold before it was recently stolen from their Swiss accounts, lawsuits pending. Why? Because there is still no trust between nations and billionaires who have a long history of cheating each other. The gold-in-hand safety valve existed to retain some trust, however distant, in the now-digital system. “Gold is a currency. 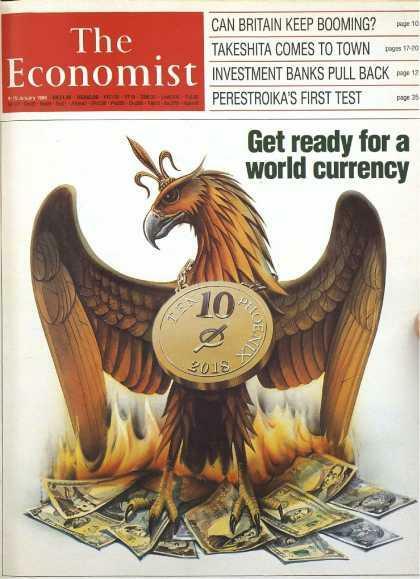 It is still, by all evidence, a premier currency, where no fiat currency, including the dollar, can match it.” –Alan Greenspan, 2014 interview of the Council on Foreign Relations. 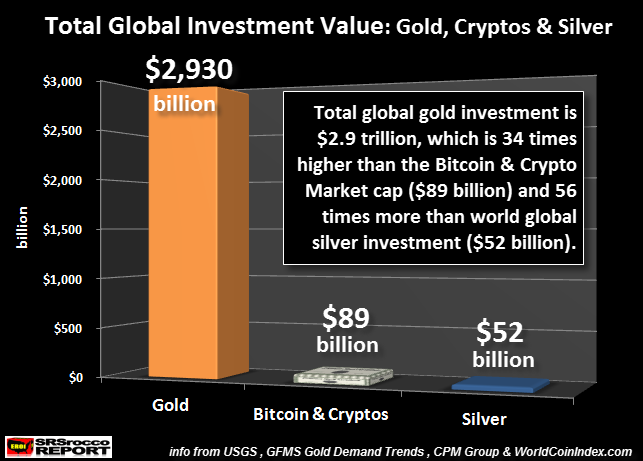 Doesn’t that mean that it’s still gold and not the dollar that is the standard, the “store of value”, and the “reserve currency”, however unspoken? If not and it’s a relic, a rounding error we cannot return to, why, as Ben Bernanke was asked, do all the banks and nations still own it? A 9-fold increase in ability versus 20,000-fold increase in promises. Sounds like someone won’t get paid. And you know what bankers and economists call that? Default. 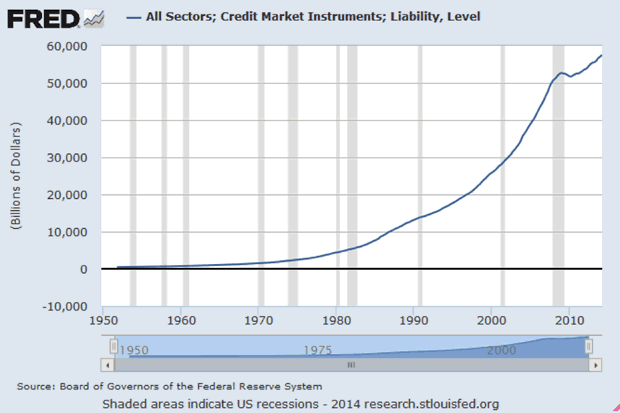 Massive, system ending default, the size of WWI or the Great Depression. That’s how fiat standards end. 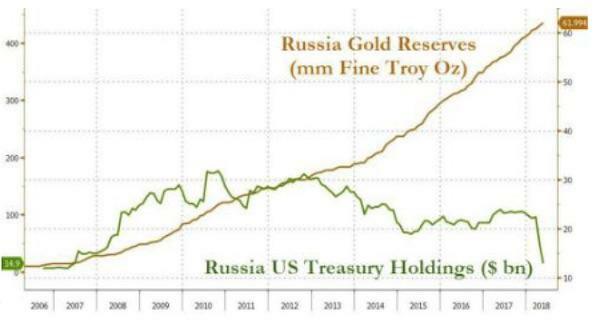 $3 Trillion in gold. 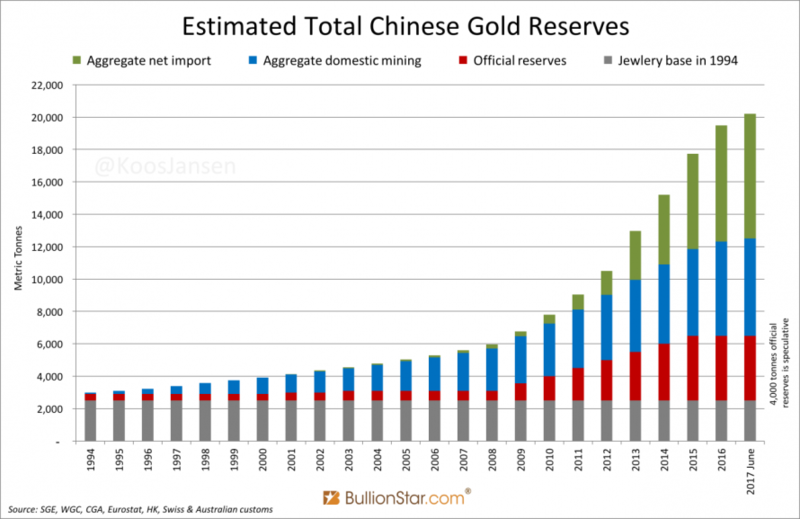 Now that’s “official” gold and we already showed that “official” Chinese gold is 4,000 tonnes when it may be as high as 30,000 tonnes, but the principle is the same: gold is wildly smaller than the needs of the financial system. Or is it? 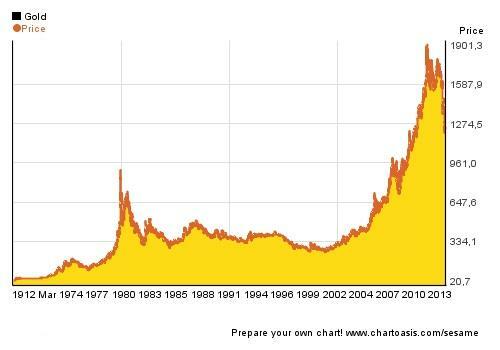 In previous financial inflations…which I just showed we have had since 1971, in 20,000x scale…gold simply rose until it became the right size. It’s perfectly simple. Gold rises 20,000 times or however much it must to re-back the system. 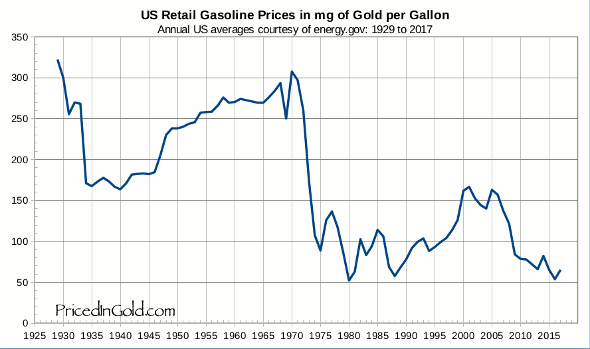 It always has before, even in 1979 when the price rocketed from $35 to $880 where US debt to gold holdings ratio stabilized at a very reasonable 10:1…the classic level of fractional reserve trust. If China officially owns 5,000 tonnes, and Russia 2,000, with the west also 15,000 collectively, we have 22,000 tonnes over what BusinessInsider says is $160 Trillion in assets, and you get $7.27B/tonne or $226,000/oz. That’s a 188x increase. 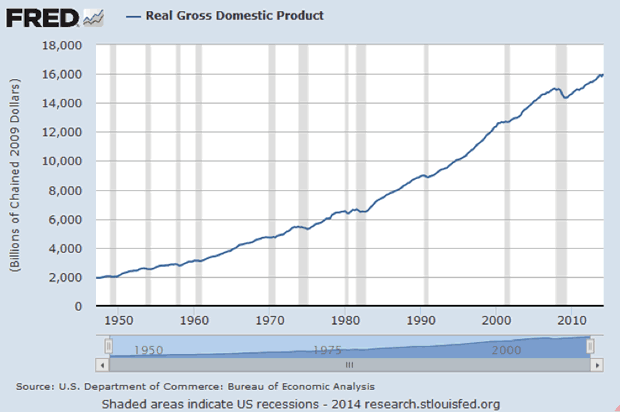 1979 was a 25x increase on an awful lot less trouble, inflation, and fraud. That’s only 7x larger. Is that unreasonable? With 40 years of inflation and very little comparative rise in gold, why shouldn’t it catch up as it did in 1979? So gold will rise and we’ll have a $200,000 gold standard? That’s what will happen? 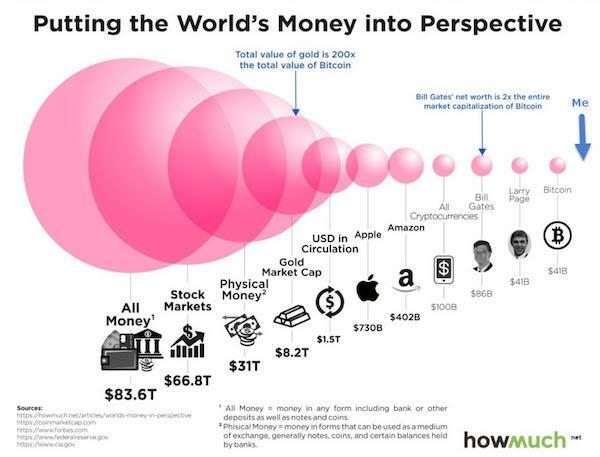 The two problems in the original chart are trust and price. The price must restore a connection between reality -real value and real production- and price; and the “reserve currency”, the medium of exchange, must be a trusted agent or method. Why would we need coins in our pockets to make that happen? For that matter, why would we need banks, who have widely proven to be the most corrupt, untrustworthy element in the whole system? We can’t go to a new system if it’s the same as the old: that’s WHY the system failed and cycles from gold to silver, silver to paper, paper to gold. We can’t go from paper to paper, that won’t work; but we also can’t so easily go to gold, asking an 800-fold increase since 2000. It would have the same disruptions Weimar had that brought Hitler, or the Jacobins had that brought Napoleon, or that Venezuela has today. And why should we? There’s no need. China demands not US Treasuries in NY as collateral to ship goods as presently, and not Yuan bonds, but gold bullion posted in their hot new Shanghai market, which allows physical delivery on demand. 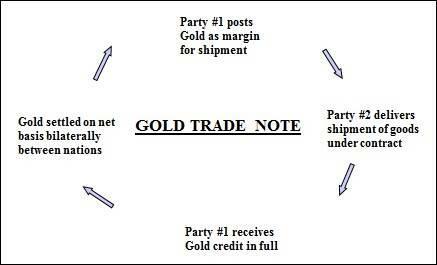 This bullion never moves as collateral, but is simply posted by one party then released on delivery. Shanghai is already larger than London, and the largest banks are already in China, which probably has the largest economy. The West and their banks are a has-been: we’re only admitting to a reality that happened years ago. This solves our two problems: how do we know we’re returning to fair trade, like-for-like? Real goods on container ships are trading for real goods in vaults. How do we know it’s fair, mostly? You can convert the Yuan-sponsored, gold trade note to physical delivery from Shanghai, a thing which is no longer truly possible in London and NY. Will this reversion increase the gold price? Probably. How much? Every number is a state secret, but assuming the 10:1 ratio the United States showed in 1980, let’s say it’s 1:10 of our $226,000 number above or $22,600/oz. That’s reasonable, practicable, and neither stops business nor starts wars. We can do it today, and given China, Russia, Japan, Asia, Australia, and even London appear to be joining China’s AIIB front bank, I would say it already IS happening. Which leads to one more problem. Certainly TODAY you can take gold delivery in Shanghai, but as London, NY, and the Saudis discovered, the first thing that happens once you build a system of trust is to close the doors and cheat on it. How do we know the gold is there? Even though Shanghai is a “third party” allowing delivery, who’s to say they will be tomorrow? The banks are notorious for “hypothecating”, doubling, tripling the gold on their books with accounting fraud backed by the full faith and credibility of governments, and no one’s in the mood for trusting the Chinese any more than Wells Fargo or DeutscheBank. That would drop us back to a hard gold standard, a $220,000 price, a halt to world trade, and possible world war we were trying to avoid. We need an accounting method that is better trusted and can’t be gamed. How to fix it? The gold in Shanghai has a chain of custody, no different from “London Deliverable” standards we have today. An original audit, adjusted for receipts and deliveries is all we need. Which is where we add the blockchain. With it, Shanghai cannot double the gold on their books like Europe did in 1922 or the CME does today, marking it both received and loaned, because the blockchain only allows one position, one state at a time. Gold assayed and entered by refiner is tagged to a kilo, and you can follow that kilo bar through the system, not with double counts and vanishing, ever-changing serial numbers as the Federal Reserve and the GLD ETF showed. Can it be cheated? All systems can be cheated, that’s the nature of men. But it makes it much harder, hard enough to establish adequate trust in banks and governments that otherwise would go to war. Will it be tied to Bitcoin? Yes, but no differently than it will be tradable to the Thai bhat or the ruble. With near-zero cost conversions, all currencies, crypto or otherwise, will be far more interchangeable and thus to some extent identical. They may even disappear, as happened when Jackson closed the 2nd central bank 182 years ago and the nation essentially moved to private currencies. 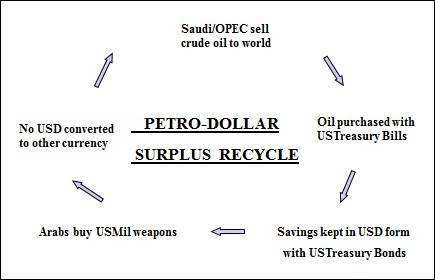 What will happen to the Dollar? It will still exist, but in some new, revised form. But the US$ today is transferring 3% of the nation’s wealth from the poor to the rich via inflation. Do we really want to keep it? 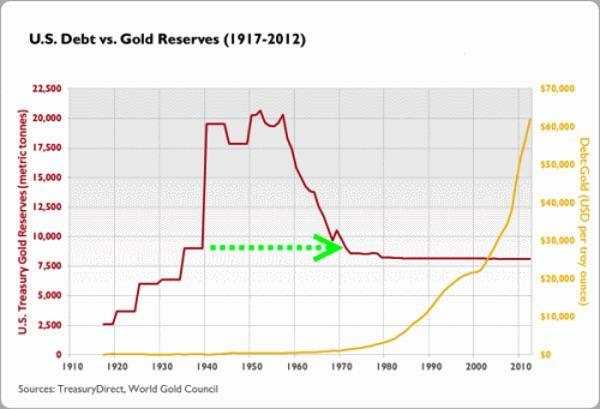 And if it’s not a store of value and it’s already not the reserve currency — we just showed it’s a diluted proxy for gold and oil — why should the reformed US$ be any different? The dollar will be our national currency, still diluted and still referring to the real currency: gold, the attached Trade Note, and its crypto accounting. Until the next fraud and next crisis, perhaps in 2058. And that’s the long story of how we leave the present debt-backed U.S. paper dollar and move to a Yuan-sponsored gold trade note that is a gold-backed cryptocurrency. In some ways we already have. Watch and see as they have the public opening of a structure planned and established years ago.